Cancer is one of the leading causes of death worldwide, and the incidence is growing. Recent evidence shows a reduced risk of dying from cancer. For years Primary Health Care (PHC) has played a vital role in promoting health, but little has been done in emphasizing its role in reducing the incidence of and mortality from cancer through performing early diagnosis. PHC is directly involved in the initial diagnosis of more than 85% of all cancer cases worldwide (Vedsted & Olesen, 2009). PHC also has an important role in the public awareness about the importance of screening, especially in high-risk patient groups. The interaction between the patient and the health service is crucial in ensuring that relevant alarming symptoms are presented and that action is taken at the earliest possible time. This chapter aims to explore the role of primary healthcare in the prevention, early detection, and control of cancer in a developing nation - Saudi Arabia. The global burden of non-communicable diseases (NCDs) is constantly increasing. According to the World Health Organization (WHO), the spread of these diseases presents a global crisis in almost all countries (WHO/PHAC, 2005). The increasing global crisis in NCDs is a barrier to the Millennium Development Goals (MDG) including poverty reduction, health equity, economic stability, and human security (Beaglehole et al., 2011). In addition, NCDs are considered a major cause of health inequality (WHO, 2008). The underlying causes of these diseases share modifiable risk factors that are well known and are similar in many countries (Yusuf et al., 2004). In recent years, substantial gains have been achieved all over the world in economic growth, health, and living standards in the past century. This progress is now threatened by the substantial increase of NCDs, especially heart diseases, cancers, strokes, diabetes, and chronic respiratory diseases (Engelgau, 2011). The United Nation General Assembly (UNGA) held a special session in 2011 to tackle NCDs’ burden and mobilize the political leadership to optimize their coordination and consensus for priority actions and interventions in responding to the crisis of NCDs (Hospedales et al., 2011). 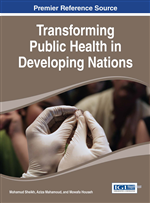 It was also directed to enhance the development of strategic decisions to reorient population-based prevention, in addition to clinic and hospital-based care policies toward NCDs including cancers (Engelgau et al., 2010). How much focus should be given to the prevention of chronic diseases and cancer, and how much focus should be given to the treatment of those already affected by such diseases is an important policy question that is usually directed to government decision makers everywhere around the world (WBO, 2012). As cancer is one of the major NCDs, and it is well known to be one of the world’s top reasons for mortality, the World Health Organization (WHO) and other organizations are concerned about the integration of cancer prevention, early detection, treatment and palliative care within the context of the National Non-communicable Diseases prevention and control activities at the level of the primary healthcare settings (WHO, 2008). Furthermore, cancer is one of the major cause of premature death worldwide. For example, according to the World Cancer Report in 2014, 14 million new cases and 8 million death cases have been reported (Steward & Wild, 2014). The new number of cases is expected to reach 15 million by 2020 (WHO, 2003), where the developing countries account for 53% of the new cancer cases and 60% of cancer-related deaths. The economic value of disability-adjusted life-years (DALYs) - loss due to cancer amounted to 895 billion USD in 2008 globally. This represents approximately 1.5% of the world's GDP (Busse et al., 2010). In Middle Eastern countries 467,000 new cases and 323,000 deaths from cancer were reported in 2008 (Boyle & Levin, 2008). The rate increases as communities adopt western lifestyles and become urbanized. In addition, the steady increase in the population's expected age is attributed to be one of the key factors that contribute to the growing occurrence of diseases. Some factors are considered in contributing to the ongoing increment of cancer which include, among others, population ageing; globalization of risks; poverty, which increases acutely in less developing countries; in addition to the longstanding challenges of infectious diseases (Steward & Wild, 2014). These factors double the burden of diseases, which place enormous strains on resource poor health systems.